Tim Berners-Lee is a British computer scientist credited with inventing the World Wide Web (WWW). Berners-Lee enabled a system to be able to view web pages (hypertext documents) through the internet. He also serves as a director for the World Wide Web Consortium (W3C) which oversees standards for the Internet and World Wide Web. Berners-Lee is also concerned about issues relating to freedom of information and censorship on the internet. Tim Berners-Lee was born on 8th June 1955 in London, England. After doing his A Levels at Emanuel School, he went to Queen’s College, Oxford University, where he received a first-class degree in physics. After graduation, he gained employment for a printing firm in Plessey, Poole. From 1980, he was employed as an independent contractor at CERN in Switzerland. An essential part of his job involved sharing information with researchers in different geographical locations. To help this process, he suggested a project based on the use of hypertext. (a language for sharing text electronically) The first prototype was a system known as ENQUIRE. The Internet had been developed since the 1960s as a way to transfer information between different computers. However, Tim Berners-Lee sought to make use of internet nodes and combine it with hypertext and the idea of domains. Tim Berners-Lee later said that all the technology involved in the web had already been developed – ‘hypertext’, the internet; his contribution was to put them all together in one comprehensive package. 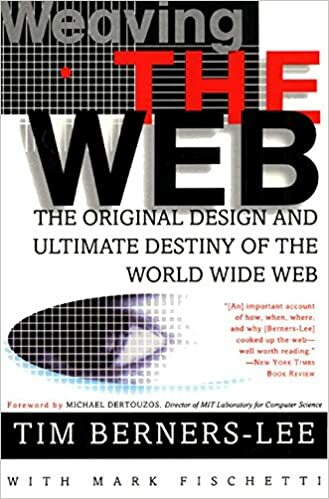 In 1990, with the help of Robert Cailliau, he produced the first version of the World Wide Web, the first web browser and the first web server. It was put online in 1991. “Info.cern.ch” was the address of the world’s first-ever web site and web server, running on a NeXT computer at CERN. The first web page address was http://info.cern.ch/hypertext/WWW/TheProject.html. HTML – Hypertext Markup Language – how web pages are published. Hypertext transfer protocol (HTTP) – serves up web pages on request. In 1994, Berners-Lee founded W3C (World Wide Web Consortium) at the Laboratory of Computer Science (LCS) at the Massachusetts Institute of Technology in Boston. This is an organisation to try to improve the quality and standard of the world wide web. He could have tried to monetise his creation but decided to offer the world wide web with no patent and no royalties due. As a founder of the world wide web, Tim Berners-Lee has a relatively high profile, and he has often spoken up for the freedom of information and net neutrality – arguing that governments should not be involved in censorship of the internet. He has expressed concerns the US may move to a two-tier internet system. In 2009, he worked in a project set up by Gordon Brown to help make UK data more publically available. Data.gov.uk. 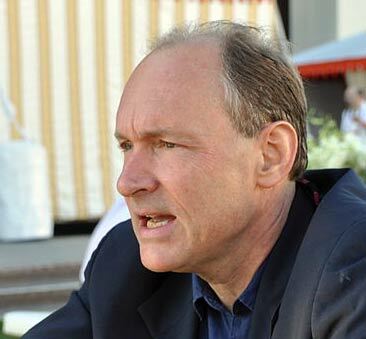 Writing about the importance of the internet, Berners-Lee has stressed the importance of improving communication between people within an interconnected world. Tim Berners-Lee was recognised for his invention of the world wide web in the 2012 Summer Olympics opening ceremony. During the ceremony, he tweeted “this is for everyone.” The tweet was shown live to the 80,000 audience and tv spectators. Despite the scope of his invention, Berners-Lee is not rich. Unlike contemporaries, such as Marc Andreessen, co-founder of Netscape who is now a millionaire. For many years he drove a 13-year-old VW Beatle, recently replaced with a VW EOS. He seems content with the non-profit path he took. Citation: Pettinger, Tejvan. 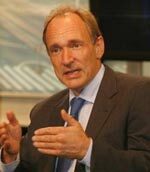 “Tim Berners-Lee Biography”, Oxford, UK – www.biographyonline.net. Published 12th Jan. 2014. Last updated 8th March 2018.